Courtesy www.freespiritspheres.com These are "adult tree houses." Courtesy www.interiordesign.com. Built to look like a shark. Recently featured on HGtv. 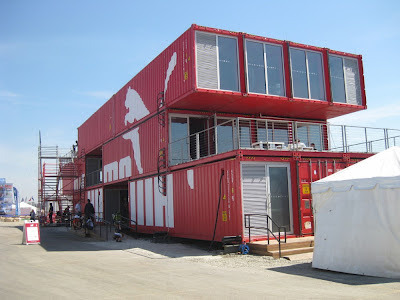 Courtesy of www.archdaily.com This home is made out of shipping containers. Built in 2006, Puma City. Those are definitely odd.Would be interesting to know why they builders/owners like them so much. I can't find a favorite. The mushroom blends in the most with the scenery, so I'll say I like that one. 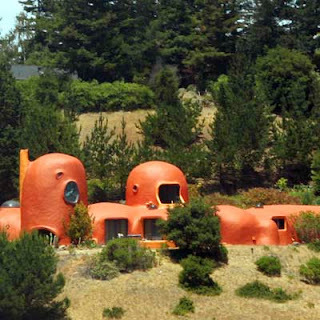 Those really are some extraordinary houses. The first one reminded me a bit of Teletubbyland! I wonder what it's like to live in a house like that. I saw it on tv. It's incredible! These are interesting. I clicked on the Flintstones pic and was redirected to This Old House, I love that site...tons of great write-ups on there. It's awesome. Love that site. The shipping container one is definitely my favorite. 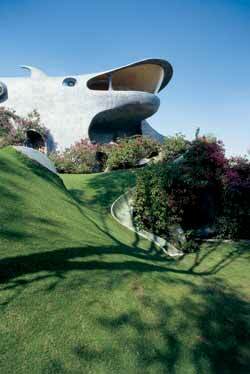 Interesting homes! Thanks for posting the pictures, great to imagine living in something like that!